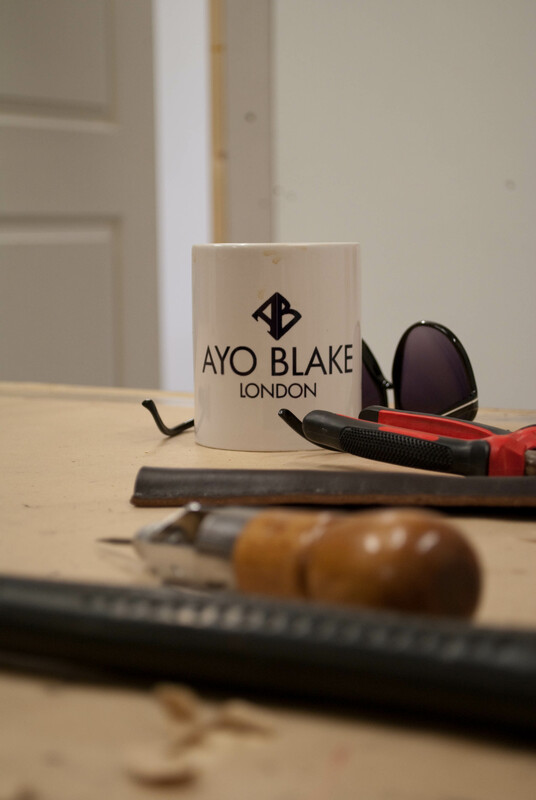 Ayo Blake is an awe-inspiring, self-made success. 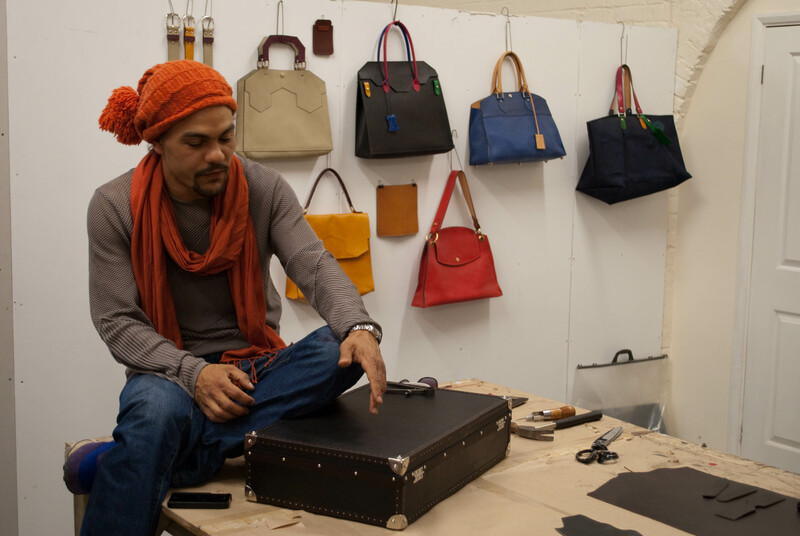 With no formal training, just an appreciation of good quality whether it be clothes, cars or accessories, he has built up a luxury leather goods label from scratch. We met up with the designer at his East London studio to learn more about his business and his latest collaboration with Saville Row tailor Charlie Allen. 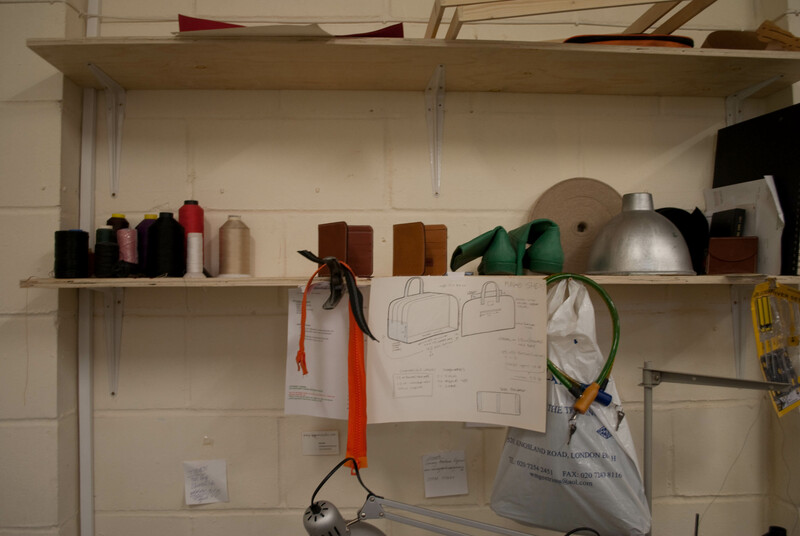 What inspired you to begin making leather accessories? I wanted to do something, I’m an artist, I’ve always been an artist. I wanted some kind of physical outlet for what would have otherwise just been ideas. I like designer clothes, accessories, all that kind of stuff. In fact my friend bought a Mulberry bag and I remember looking at it and thinking, I reckon I can make this. I like the precision of leather, as opposed to cloth. It’s more engineering based, but it still allows for artistic flare without sinking too deep into the realms of functional discipline, such as with carpentry or mechanics. What inspired your designs to begin with? At first, I started off copying other people’s stuff. But after you have made a certain number of pieces you realise none of your pieces look like what you were trying to copy, they look like something else and after a while that something else becomes your style. Style grows out of emulating something you like, and something original comes out of that. I think that’s the same with all art forms. 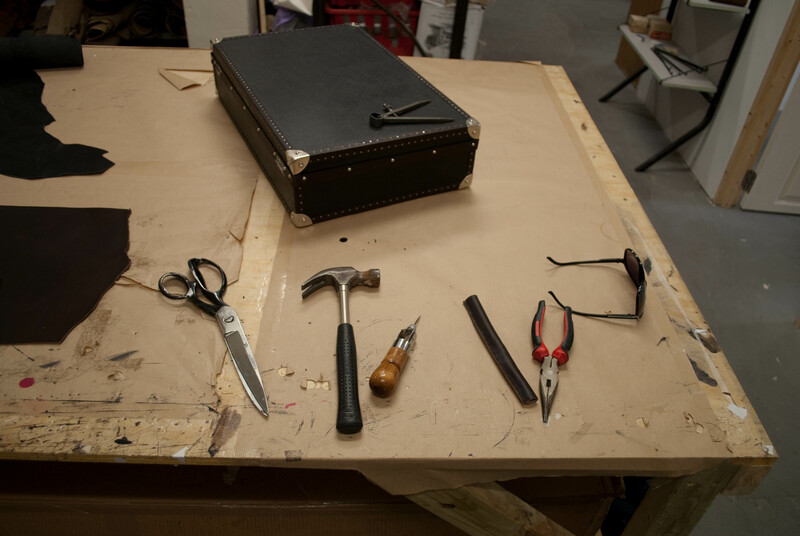 My stuff uses traditional methods, but most definitely incorporates contemporary design ethics. It’s my generation. Most of the companies that do this are bound by tradition; they’re companies that started a hundred years ago making stuff for French royals. That’s real quality craftmanship, I took the quality, the way they make stuff and translated that into something more modern and contemporary. As a fellow craftsman he understands more about what I do than anyone else I have worked with. Also his customers all ready go there expecting exceptional quality and expect to pay for it. As a collection this is far more formal than my usual stuff. 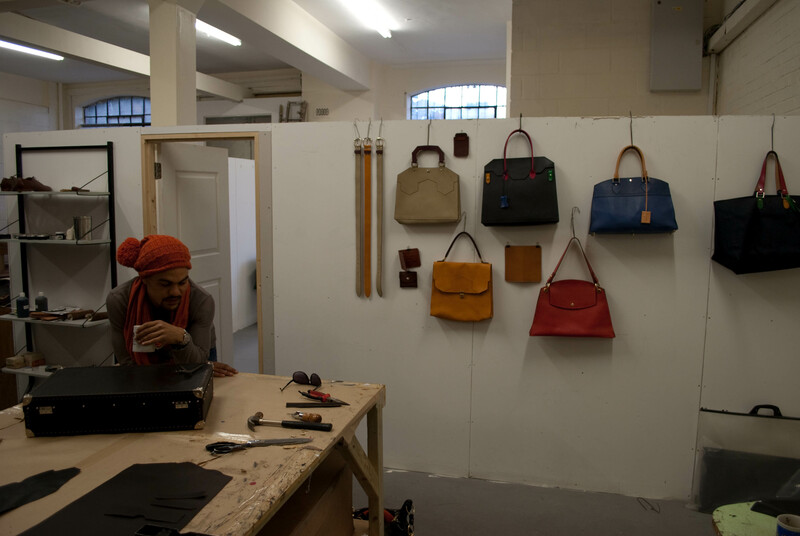 But it’s bespoke, so the collection is really just examples for the client , to show what can be done. 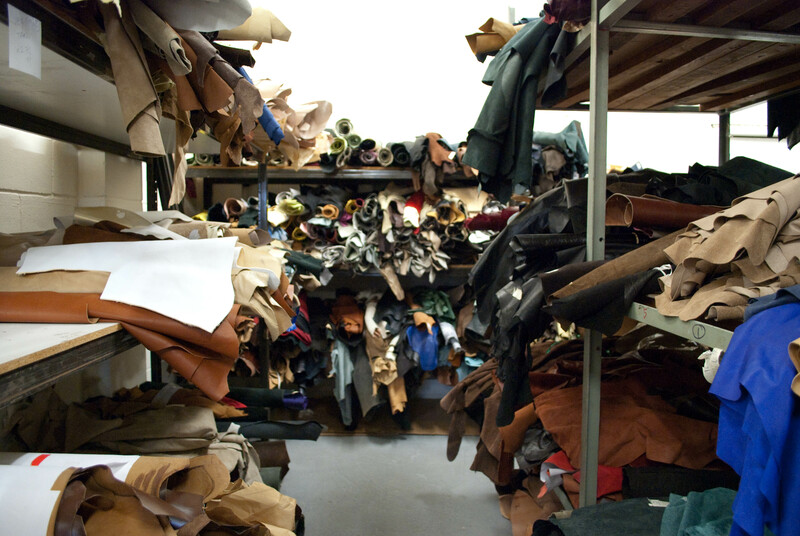 Charlie tailors some top people, members of the royal family, pop stars, footballers, people who live in a world where everything is top quality, so for me it was all about creating pieces that would be impressive and desirable at that level. One of my private clients runs a load of bars and clubs; he goes and gets suited up by Charlie. I made a bag for this client and he was very impressed with the way I do things. He was speccing up a bag and he picked pig suede for it; I said, if you’re Muslim you might not want this material because it’s pig suede, he was like; I’m not bothered about that but I like your attention to detail. He said there’s only one other man I know who gets down like that, and he introduced me to Charlie. 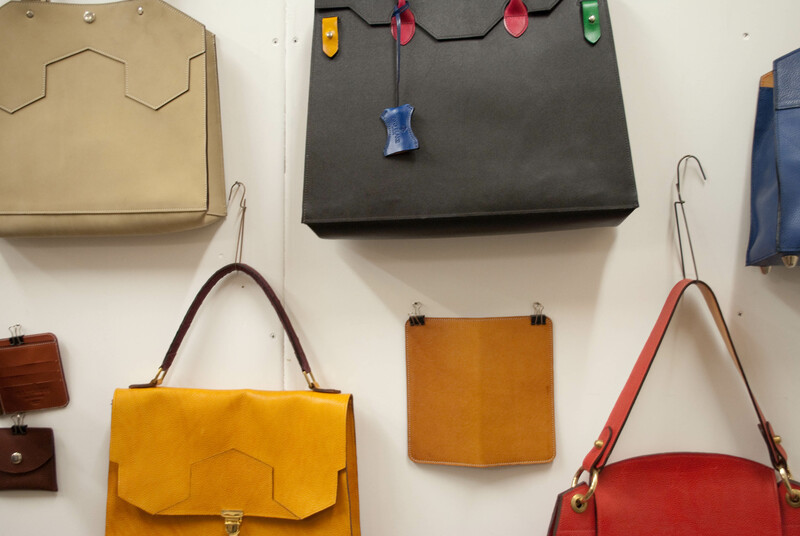 Why is it important to carry a well made, high-quality bag? It defines you outside of your everyday-wear. If you have a good bag you carry it with you everyday. It’s like having a good assistant, it accompanies you all over the world and holds your most valuable possessions and it evokes the idea of travel being a pleasurable pursuit. That’s what I like about the trunks, it harks to an era when nobody even carried their own luggage, they had porters for that sort of thing . I know we don’t travel like that anymore but that era and period was the greatest time for real style and luxury. Who is your archetypal customer? People who want to define themselves by the look and quality of the item, not the name brand. Because as of yet it’s not a name brand. Poor people who want to look richer sport name brands. In my experience, people who buy my stuff are wealthy and couldn’t care less about sporting somebody else’s name brand, if anything they don’t want to buy those brands, because it’s industry standard in their world; everybody they know has a Louis Vuitton bag, so they want something exclusive. Are men getting more metrosexual? Men and bags..
It’s a luxury thing. The men I sell my stuff to, have a nice wardrobe, they have a nice house, nice car, once you reach that level in life you have designer cutlery and you start to appreciate quality. They say the quality remains after the price is forgotten. You buy it once you buy it right. There’s a certain type of individual that understands that way of living and buying. At the other end of the scale there’s the Primark world where you buy today and and throw away tomorrow. That’s worlds away from what I do. Part of the appeal to me is that I like to think of myself building pieces that people will enjoy and use for years and maybe generations to come .